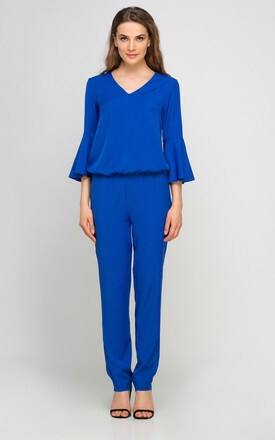 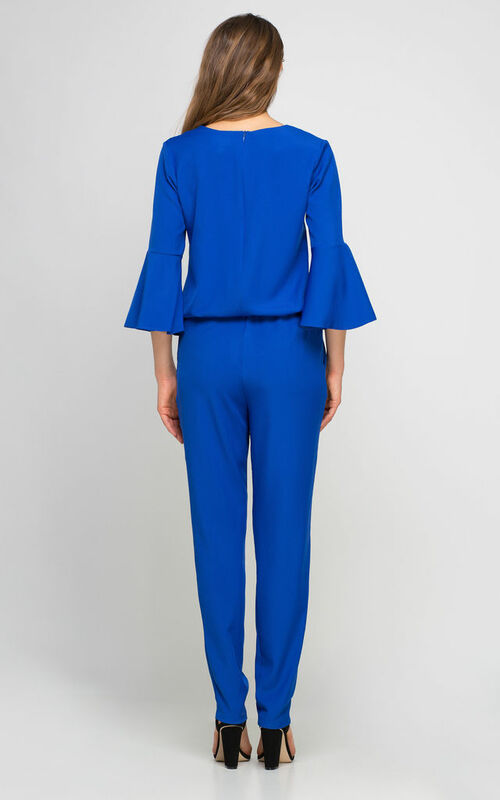 Ethereal suit with narrow legs and beautiful, flared 3/4 length sleeves. V-neck, elasticated waist. 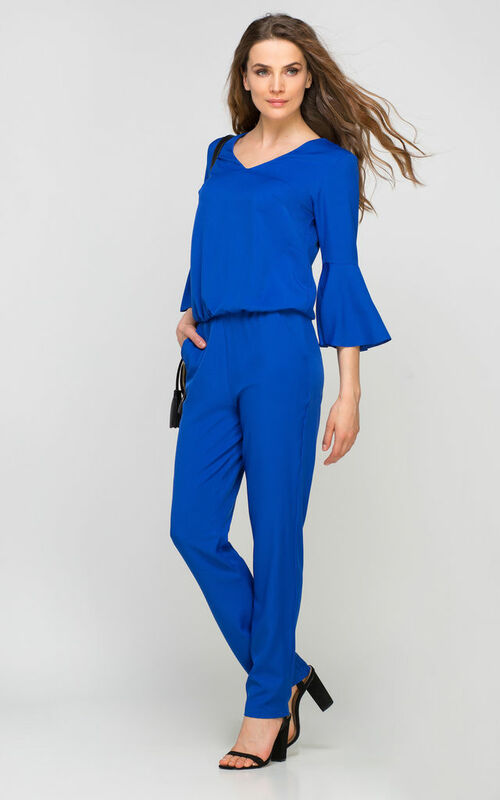 Perfect at the office and a night out - just change accessories.